Ski-boat anglers are hooking some big barracuda off Umdloti, while there is plenty of snoek in the area. Yellowfin tuna are also biting off Umdloti - for more info visit www.kingfisher.co.za. There is also decent fishing further north at the moment. 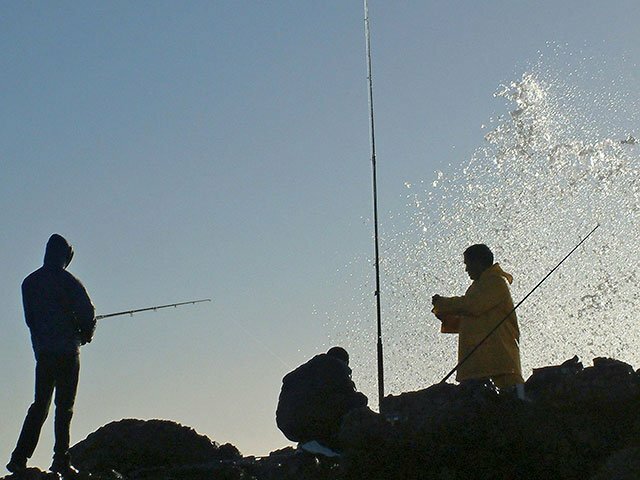 Sodwana, St Lucia and Mapelane have been productive for the ski-boat anglers. The yellowfin tuna being caught in the deep are of a good size, while the smaller boats have been content with snoek, shoal couta and a few smaller dorado. With the large number of lucrative ski-boat and jet-ski competitions coming up in the next few months, it’s a good time to check your local fishing tackle store and make sure that you get your entries in on time. This in order to qualify for the freebies and early entry discounts. Most importantly - make sure that you are up to date with all of your licenses. It looks like we are in for a lovely day today. The weather has settled with light NW winds blowing this morning. They will swing on-shore later with NE winds of 20km/hour. So if you are thinking of going for a surf – now is the time! Temperatures in Durban will range from 18–27 degrees. It will be partly cloudy this morning with clear skies later.